It is harder than usual for me to write my year end round up post because I have barely sewn since August and I miss it! 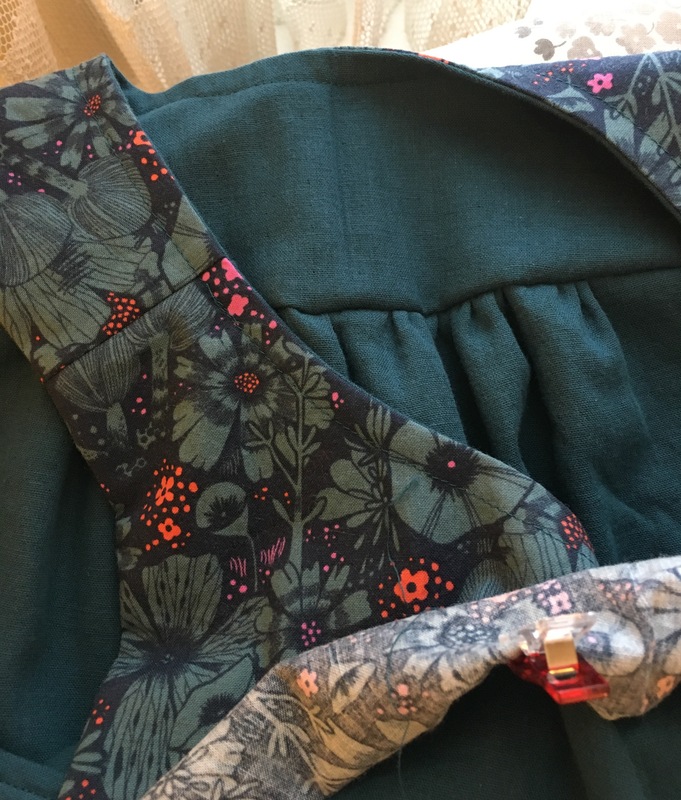 But inspired by Helen to join Gillian’s #SewingTop5 post challenge, I am looking back over 2017 and seeing a lot of garments I sewed and wore and love. 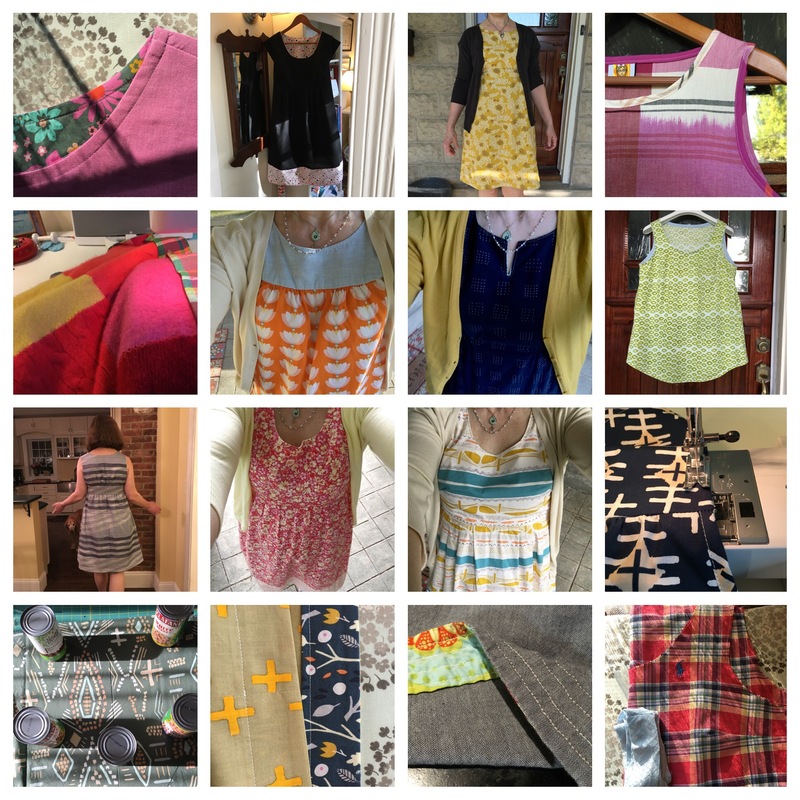 Five of my #BestNine Instagram posts this year were garments I sewed in 2017: A pair of Luna Pants made with a lightweight woven Ikat fabric and a Gemma Tank in white double gauze which are perfect together: Close-up of top below: The other three top five posts were dresses made with the Isla Pattern which is one of my most-sewn and is definitely my most-worn pattern this year. I made 9 versions this year! It was so exciting to have mastered sewing with knits. 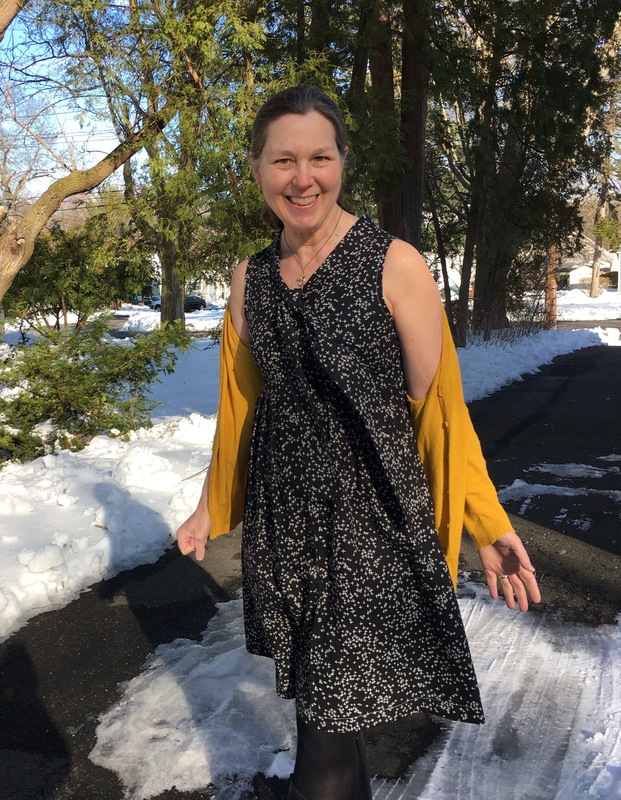 Here are two favorites, the first with fabric by Maureen Cracknell: and this version in fabric by April Rhodes: and here is the Maxi version which is lovely to wear in the summer with sandals and in the fall with boots. If I had to choose, this would be my favorite make of 2017. I also made new versions of favorite TNT (tried and true) patterns. 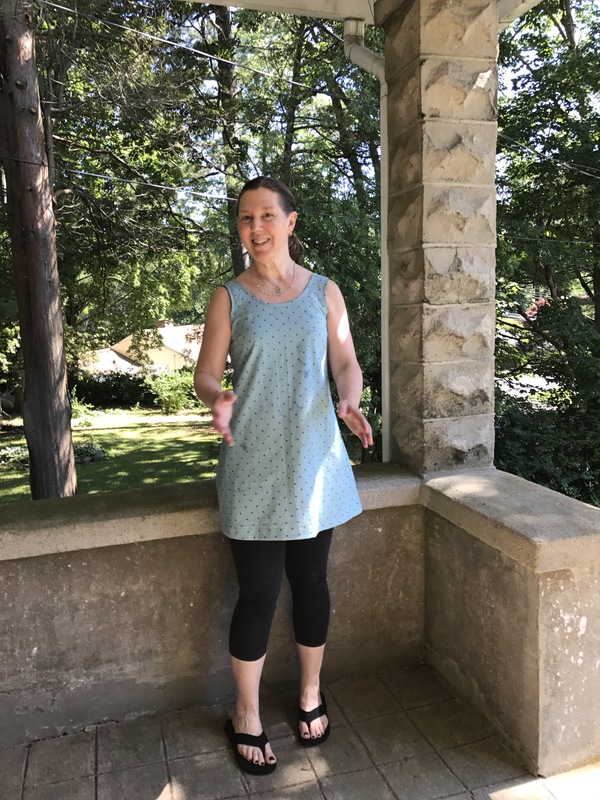 I made a new version of the Bianca Tunic in beautiful Loominous fabric: a new version of the Ruby blouse in a teal double gauze which became one of my most-worn garments, a new version of the Washi dress with a bow, using the Washi XP expansion pattern, and some tunic length Gemma tanks which were perfect for summer. 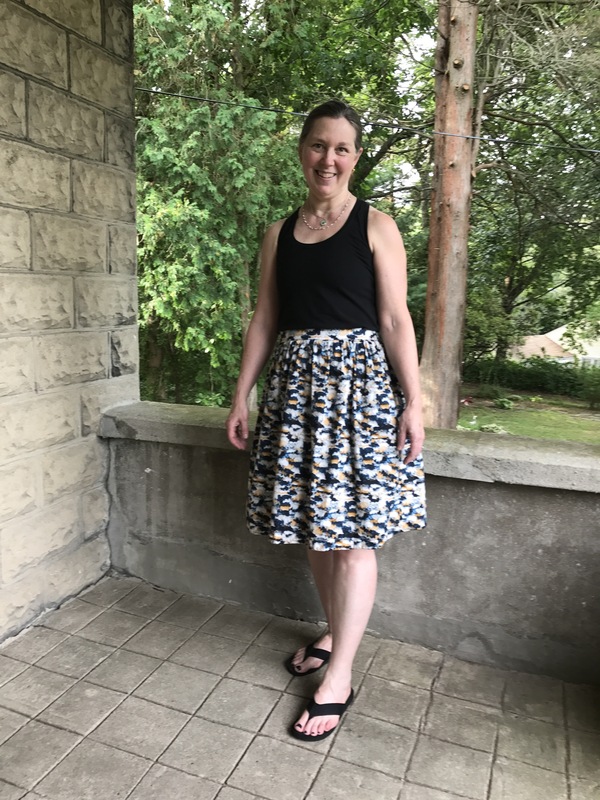 I sewed the Rumi tank, seen here with another Cleo skirt and then maxified it, which turned out to be a great success. 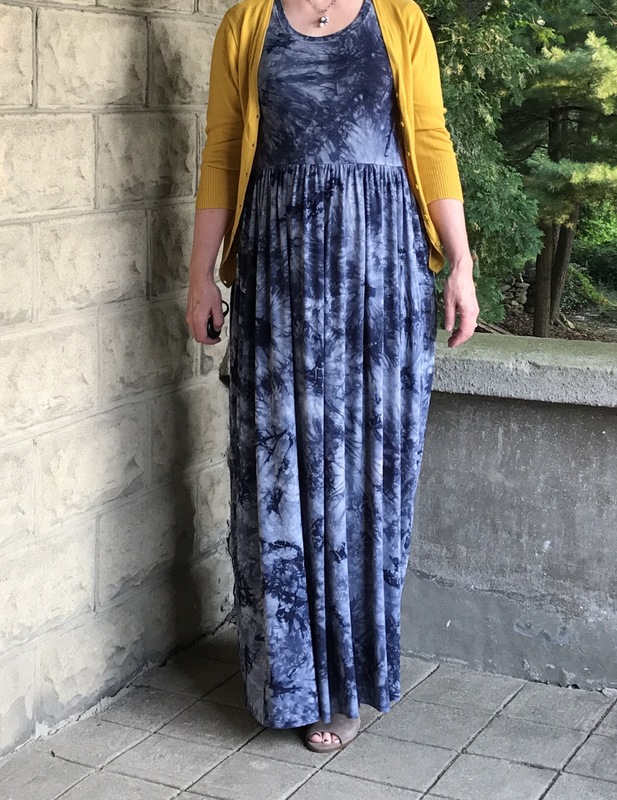 The maxi dress was a surprise hit that I wore many times over the summer. It was the perfect traveling dress. 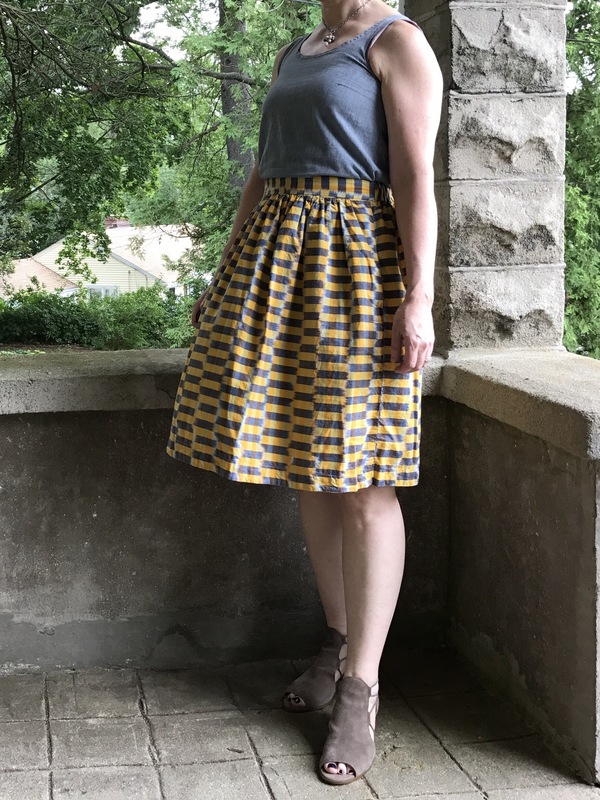 I was a pattern tester for the first time and participated in a blog tour and Instagram showcase for the Made by Rae Cleo skirt and sewed many, many skirts. It was really fun to experiment with different colors and fabrics. Here is a favorite. 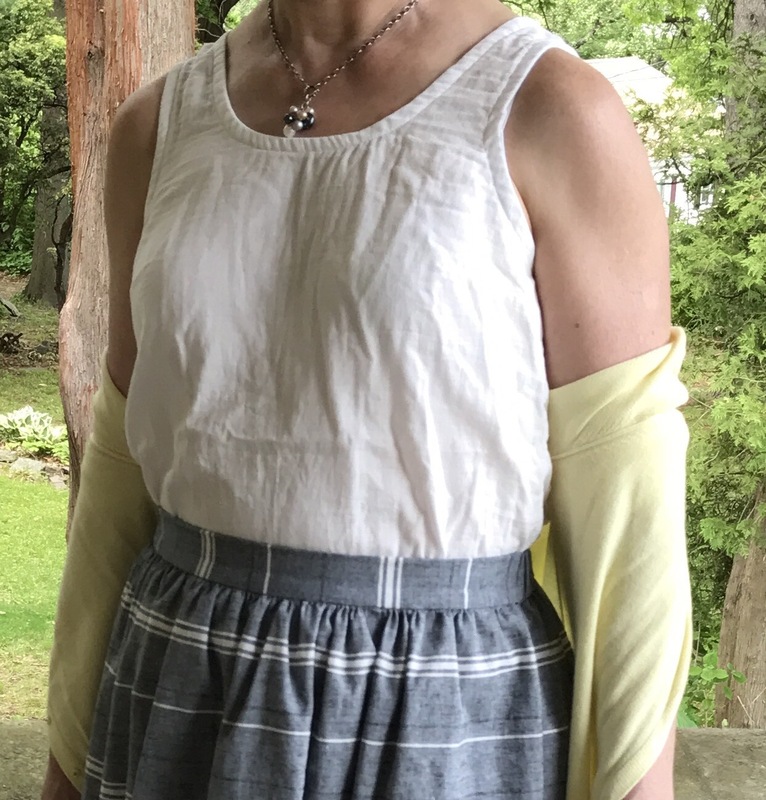 All told, I sewed 40 garments, most of them, like this MBRx2 garment (pattern and fabric by Rae) I will continue to wear and enjoy. 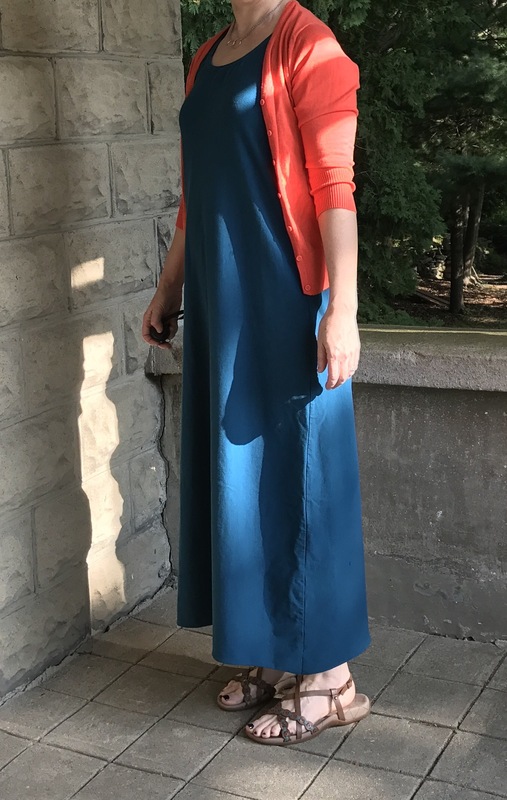 It is really amazing to me that less than three years into my garment sewing journey, I have basically replaced most of my wardrobe with hand-sewn garments. 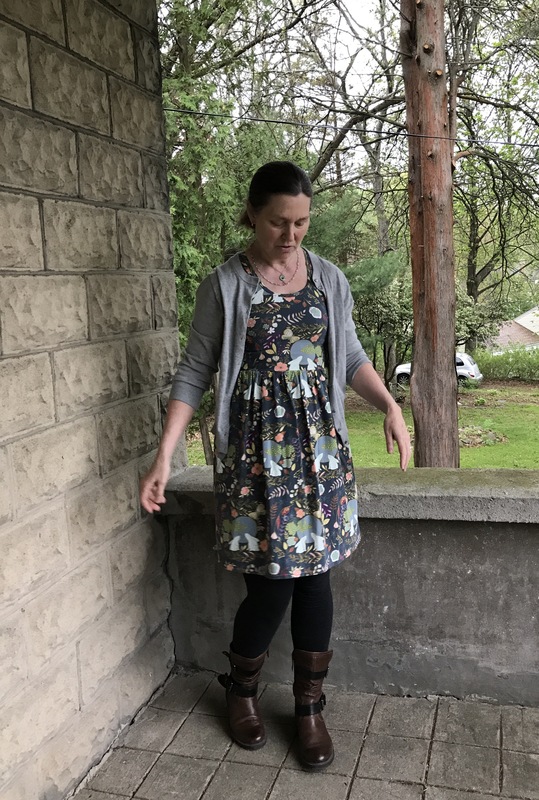 I participated in Me Made May again this year and was able to post every day without repeating any outfits which is really amazing to me. 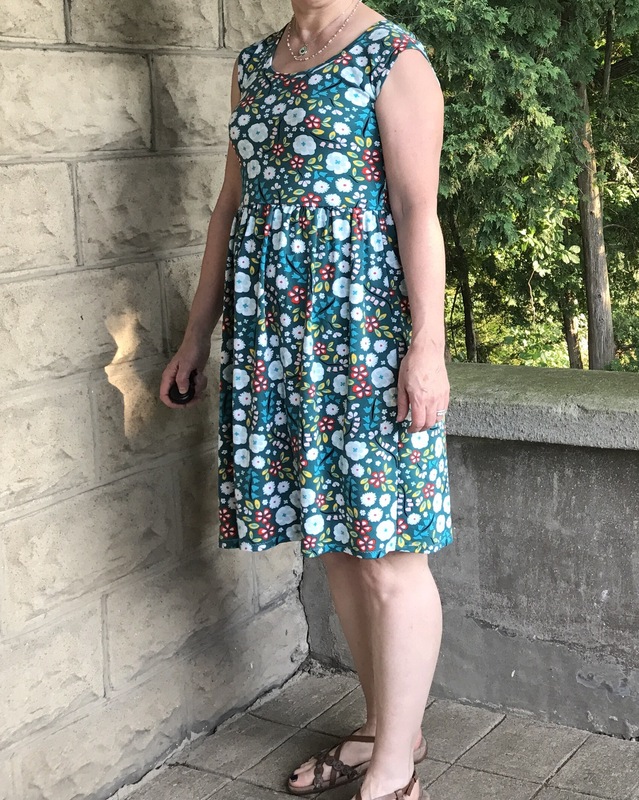 My biggest sewing accomplishment for 2017, however, wasn’t a garment. 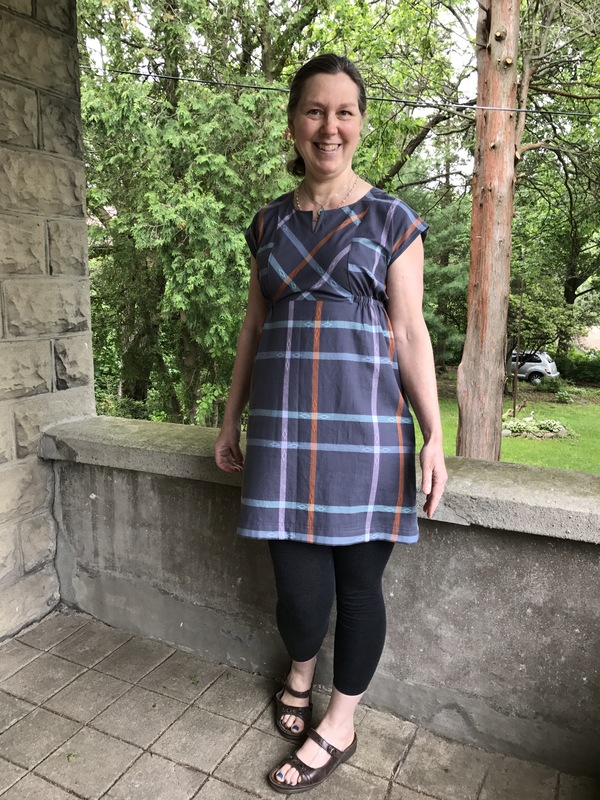 Link here to read about the sewing project that took 20 years. 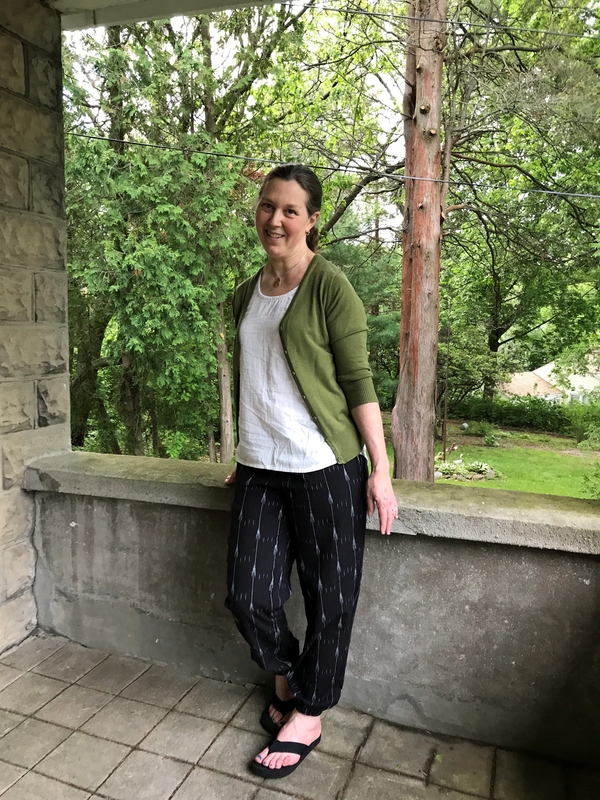 I am looking forward to sewing some new- to-me patterns in 2018 and plan to start off the year with the Blackwood Cardigan and the Lander Pants which I think will be perfect together. I have seen so many great versions of both on Instagram where, by the way, you can now follow hashtags. The perfect way to get inspired. I also plan to finally sew the Hudson Pants and the Ogden Cami. I have a feeling that I won’t be able to sew just one. 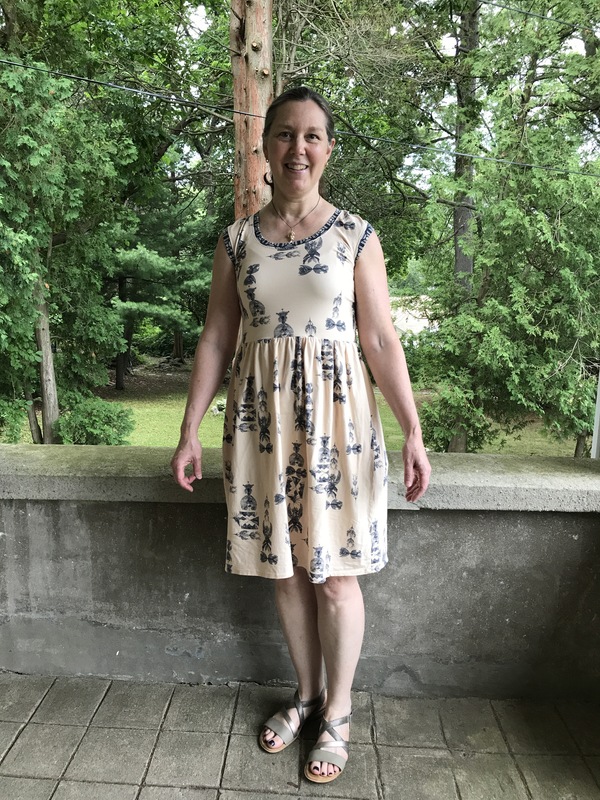 Link here to my 2016 and 2015 year end posts and head over to Gillian’s blog to see all the other great SewingTop5 posts! Wishing a wonderful new year and happy sewing to all in 2018! Beautiul. Extraordinary output given the pressures on your time! See you soon.